The term “digital nomad” was used for the first time in as the title of a published book written by Tsugio Makimoto and David Manners. Later, the words Digital Nomads have been rephrased from the phrase “location independent”, around 2006 to describe the digital nomad lifestyle. The portrait of a digital nomad is that of being a freelancer type who travels constantly all around the world, usually working for multiple companies at the same time. These entrepreneurial “creatures” forego the traditional way of working from nine to five in a typical office culture and hierarchy model. They parted from family, friends and possessions to live and create in other parts of the world. “Home” for them is where they can leave decently and enjoy the living as well. The basic prerequisite for such a nomad is a not “linear and dependable” relationship with their job. Several places around the world are overwhelmed quickly by workers that are sharing the same vicarious lifestyle of mingling work with travel. Thus, a new term, “co-working”, has appeared. Are you a modern digital nomad? YouTube video creators, social media influencers, photographers. Whereas social life connectivity keeps on going well despite the distance via free-Wi-Fi smartphones, there are barriers towards living a nomadic life. Money-related activities are still lagging behind. From opening an account and staggering ATM withdrawal fees to frozen bank accounts due to “unusual activities”, and to highly unreasonable currency exchange rate fees are among the most common financial hurdles for a digital nomad. Indeed, freelancers are usually get paid through services like Upwork or PayPal which charge up to 35%. Why digital nomads banking niche market is so challenging? It is a fact that the traditional banking does not fit well with the digital nomads’ needs. For example, it is probable when a “regular” worker with a traditional bank account in a premier banking institute decides to become a digital nomad and informed his/her tax office that their tax residence will be no longer in their home country, they will receive a furious email from their bank that their needs to update their personal data, threatening them with closing the account if they failed to do so. The real problem is actually the change of tax residence which in combination with the failing internet banking interfaces lead to a unpleasant experience in which any digital nomad would like to be involved. Another serious challenge that digital nomads are facing is that they are hit with all kinds of fees, from transfer fees to international ATM withdrawals fees. According to a financial expert and digital nomad Alex Leilacher, when he needed to send £16 to pay the membership for a co-working space in Malaysia, his UK high-street banking institution asked him to pay £22 to process that international money transfer. Searching for a banking alternative, he came across the remittance start-up TransferWise which only charged him £1.18, saving about 90% on the fee. Other alternatives are Azimo and WorldRemit that offer cheap international money transfers via their mobile and web-based platforms. Mobile banking is an essential tool for handling basic banking activities for all digital nomads. Thankfully for them, there are several mobile-only “challenger” bank and banking services emerging that allow users to bank on the go. Among those being included in the “nomad-friendly lifestyle” is the UK mobile bank start-up Monese, with speedy compliance checks. Account holders can easily claim a debit card or use their application to proceed with cost-savvy international transfers. It is worth keeping in mind, however, that most of these companies are in their early days, so they are spending a lot of money on marketing and promotions. As people tend to say, “if it’s free, you’re probably the product”. Curve is a new age solution for the permanent problem of the costly currency fees when making card payments. It allows users to upload all user’s credit cards onto one card and it only charges him the MasterCard exchange rate plus 1% fees, which is the most economical in the market. Additionally, it allows users to spend abroad in 18 different currencies without being charged any FX fees when making payments in the specific currency’s region. China has the world’s largest unbanked population (225 million), followed by India (190 million), Pakistan (100 million), and Indonesia (95 million). 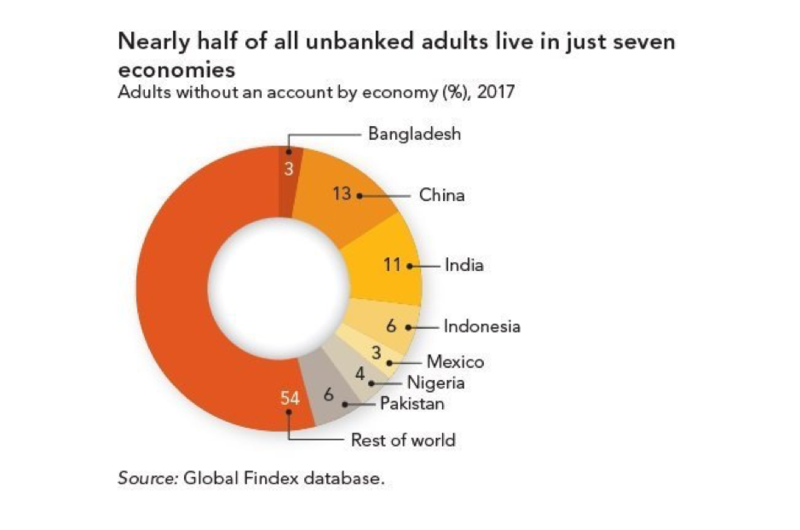 Indeed, these four economies, together with three others – Nigeria, Mexico, and Bangladesh – are home to nearly half the world’s unbanked population. 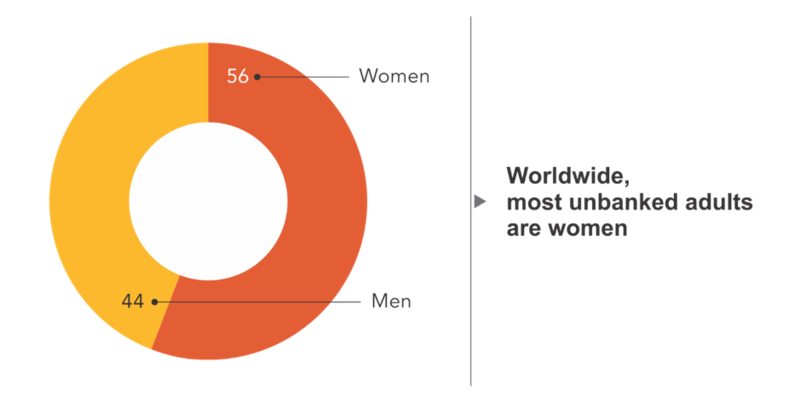 Notably, women remain the majority of unbanked population representatives. An appreciation expects around 980 million do not have a bank account, which is equal to 56% of the world’s unbanked adults. The unbanked population is usually youngsters between 15 and 24 years old which equals to 30% of the unbanked population. 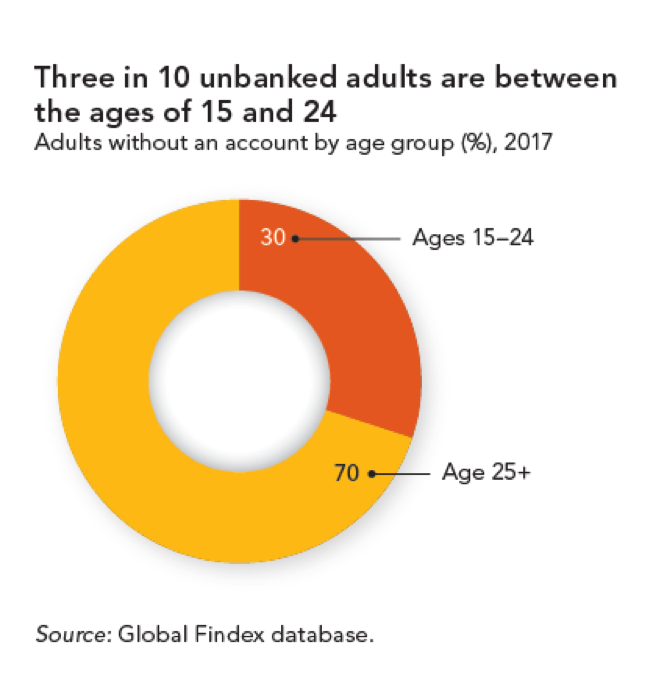 In Brazil, India, and Kenya it’s expected four in ten unbanked adults to be part of this age group. Among the most interesting findings of this research – affecting digital nomads – is that a great majority from those who are are economically active, self-employment is the most common form of work. Indeed, more than a quarter of all unbanked adults reported being self-employed, while less than a fifth reported working for wages. As we can see, not enough money is the primary reason why adults in the developing countries do not create and maintain a bank account. Documentation requirements also hamper account ownership. 20% of adults without an account at a financial institution reported lacking the documentation needed to open one. Higher shares cited this barrier in such economies as Zambia (35%), the Philippines (45%), and Zimbabwe (49%). Distrust in the financial system features as a greater barrier in some regions than in others. 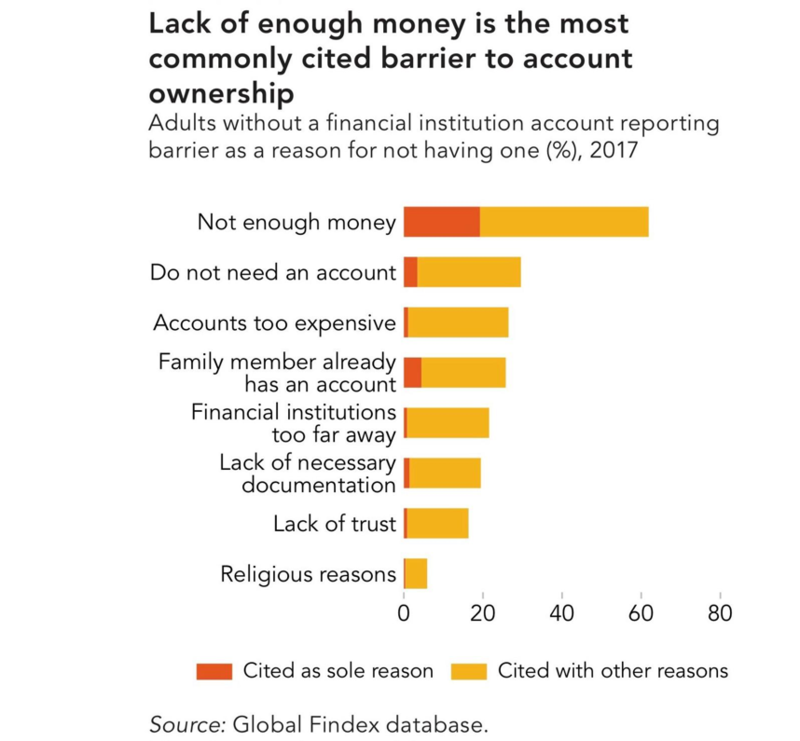 Globally, 16% of adults without an account at a financial institution cited this barrier – but the share was more than twice as high in Europe and Central Asia and in Latin America and the Caribbean. How much it costs to nomads to use digital nomads services? We will use the example of Monzo, a UK-based mobile-only bank to illustrate the cost of having such an account. The first thing to do is to order a Monzo card. The bank offers its users a prepaid style Visa debit card which can be “topped up” within an existing bank account. This card benefits are priceless for frequent travelers as it can be used across the globe and does not charge fees for either withdrawals or card transactions. Additionally, in-app notifications and alerts help users keep track of what they are spending. Monzo rolled out its fully-accredited current account in the UK in spring of 2017, which means that anyone in the UK can set up a bank account via their phone and verify their identity with a selfie. Meanwhile, in the US, there is Simple that offers FDIC-insured checking accounts. In 2014, Simple was acquired by banking group BBVA for $117 million, which left some users publicly wondering why a brand that prided itself on not being a bank cosied up to one so easily. It also doesn’t offer completely fee-free foreign transactions between countries, which is a major downside for nomads and frequent travelers. How blockchain will affect the future of payments? Blockchain is an owner-free and middleman-free network of many personal computers. It is decentralised and distributed so than none can take it down or corrupt it. Nevertheless, anyone can use this system and be helped run it, as information is available but protected through cryptography. The replacement of the current Swift bank transfer system by the blockchain technology is considered to be closer as many international financial analysts and large financial companies are testing it. Blockchain can also be applied within the banking industry to help in the creation of a decentralised client identification system. The necessity of this is being justified by the need of all credit organisations to perform better know your customer (KYC) checks before accepting any applications. Through blockchain, users will be identified on a single occasion, and the information will be stored in a secure location where all banks in the system can access it. Even in the most developed countries, the banking system has been proved to be highly unreliable and vulnerable. State regulators use traditional currency to insure private bank deposits. Blockchain can enhance majorly by automating payment on insurance cases. The implementation of smart contracts that are performed automatically will eradicate the long bureaucratic delays. Despite the potential of blockchain, the technology is not yet fully used, as existing projects have been unable to develop favourable ecosystems. Among those is FotonBank, which promises to become the financial ecosystem of the future. The basic idea behind Foton is creating the crypto-bank able to issue virtual cards connected to multi-currency wallets. It will be created under Foton’s umbrella, an exchange where cryptocurrency and fiat money can be changed instantly. The ecosystem will develop, lastly, its own blockchain for financial transactions, data storage and cleaning, and business, thus users will get all-in-one service for transacting, accounting and storing digital money. Looking at the fiat currencies volatility, it is easily proven over the time that they are subject to fluctuating exchange rates, diminishing purchasing power, and inflation. Nevertheless, these fluctuations are comparable to those of cryptocurrencies much smaller to make them available for commercial use. On the other side, the massive volatility that presents cryptocurrencies makes them both attractive to speculators and impractical for mainstream use. In case of banking, retail investors wouldn’t like to take the risk of volatility hence stability is a prerequisite. unit of account (to be a measurement unit to define and compare market values). To tackle the problem of high volatility, Foton will allow business accounts to issue their StableCoins based on the assets held by the business. This measure will counter the rapid price fluctuations associated with cryptocurrencies and foster utility power of crypto asset as a means of transaction for businesses and consumers. Foton StableCoins will hold the businesses assets as a reserve to back up the value of the coin, such assets include cash reserves, property, products and intellectual property. Foton unites fiat and crypto money, and digital nomads will be provided with the option called “Black Account”, which allows conducting anonymous payment. Users of FotonBank can manage all multi-assets and do instant payments using Foton mobile and web-based crypto banking app built on a blockchain platform. Digital nomadic lifestyle sounds exciting, and for most of us who are working from an office seems a great opportunity, but is hiding many unpleasant challenges. Among them is the extraordinary cost of financial services, which until today with traditional banks has been really expensive. The new generation of mobile banks promises cheaper transactions fees, swift transaction time, and enhanced security. Despite the technological progress and developers effort, transactions remain still expensive, slow, bureaucratic for the modern lifestyle of digital nomads. The new era of blockchain smart banks is promising transactions within a few seconds, minimum exchange fees, and enhanced security. We are looking forward to follow the innovation route in the banking technology and how blockchain technology is going to reshape it forever.